Nothing is set in stone. These are words that have been repeated to me from a very young age and accurately describe the events of 2015. To briefly recap, after my “breakthrough” year of 2014, I had lofty goals heading into 2015. 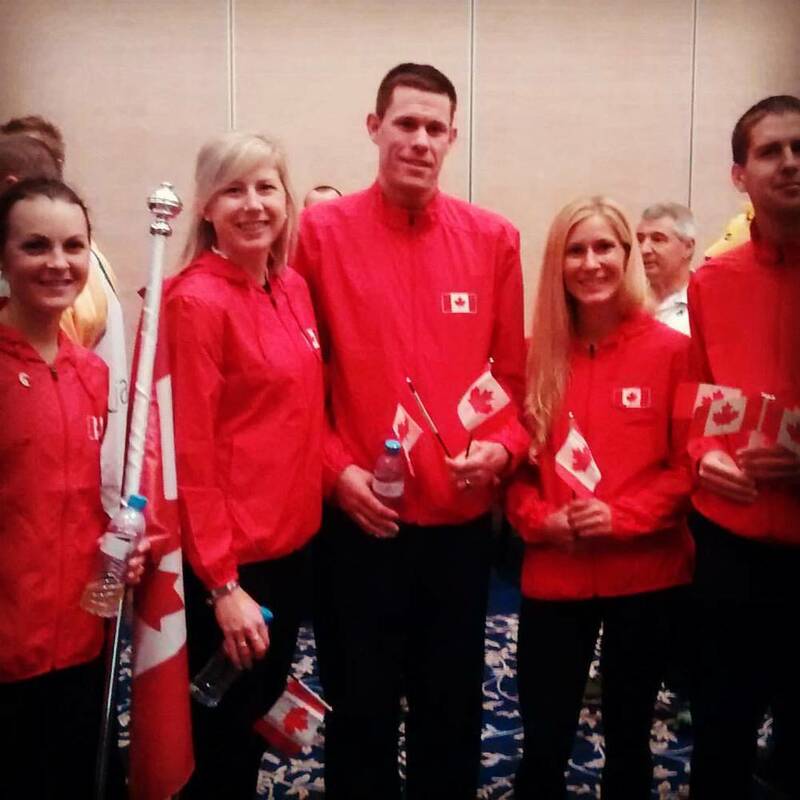 I wanted to represent Canada at the Pan Am Games; to crack the elusive 2:35 mark; and to compete in the first Canadian Marathon Championships at the Scotiabank Toronto Waterfront Marathon. Although none of these dreams transpired, many other monumental things happened to turn my entire outlook on the year 180°: I became an aunt; graduated from university; explored BC and Alberta’s wilderness; and made my first national team. Plagued with injuries for most of the year, I headed into a fall training cycle with a new focus on strength, speed and staying injury-free. Less quantity, more quality and cross training got me back into a consistent training regime, but I still felt unsatisfied. With no major race to prepare for, I felt lost. I wasn’t invested in any one race, and this resulted in a number of performances I deemed “sub-par”. Then the unexpected happened. After an eventful weekend of running and socializing at the Whistler 50 Relay, I woke up terribly hungover and made a deal with myself to find a single race in which to focus all my efforts on. Serendipitously, the very next day I received a message from Ryne Melcher, the manager of the Canadian 50k Road Team. He inquired about my interest in running for Team Canada at the World 50k Championships in Doha, Qatar. I could feel goosebumps forming on my arms, my heart beating faster, and my smile getting bigger as I read the rest of the message. Could this be happening? Was I really going to get to fulfill this year’s goal of representing Canada on a world stage? It took every piece of will power I had to refrain from replying, “YES!” right away. I had to play the responsible athlete card. I politely replied that I had to first speak with my coach, and needed a night or two to sleep on it. At first my coach was reluctant to take on a 50k race, let alone one half way across the world and in the heat. My mileage had been lower throughout the fall to reduce the risk of reinjury and this endeavour would require it to increase quite substantially. We spoke at length about the pros and cons of the race. The determining factor was that little fire I felt flicker inside me again. I hadn’t felt that in months. It was the desire to do something big, something unexpected. It was to do something for me. At the sight and sound of my enthusiasm, I was given the nod of approval. On December 4th, 2015 I would get to wear the Canadian maple leaf on a singlet, not just as a sparkle of hope on my necklace. The six weeks leading up to the race required a change in training to accommodate for the new lengthy race distance. The build was conservative as remaining injury free was far more important than several high mileage weeks. It became increasingly apparent that I revel in endurance-based workouts. I returned to my happy place during my long runs like I had been running that distance all year. It’s too bad the same can’t be said of my interval work! As the weeks whipped by, I gained confidence in my abilities again. It helped that I was able to do most of my training with Anne-Marie Madden, the most wonderful and speedy training partner I could ask for, who was gearing up for the North Face 50 miler in San Francisco on the same weekend as my 50k. Before I knew it, it was November 30th and I was en route to YVR to begin the most whirlwind trip of my life: 35+ hours on an airplane; 20+ hours sitting in airports; 20 hours in Istanbul; 2.5 days in Doha; 3 time zones; and one 3.5 hour race. Despite the hot weather and the brutal tile/brick course, I busted out a 3:36:27 to snag 7th place in my 50k debut. To make the day even sweeter, teammate Catrin Jones won bronze, and with the help of our 3rd woman Alissa St Laurent, the Canadian women took home the silver in the team category. I didn’t sleep that night. I was buzzing with excitement. The pure elation I felt was exactly what I had desperately sought after all year. Exhausted from travelling, I returned home barely knowing day it was. Knowing this is only the tip of the iceberg; I’ve already devised a five year plan, but as the old saying goes – nothing is set in stone.